The European Medicines Agency (EMA) has published a “Guideline on the Chemistry of Active Substances,” setting out information required by Directive 2001/83 with respect to the manufacture and control of active substances used in a medicinal product. The guideline replaces the “Note for guidance on chemistry of new active substances” (CPMP/QWP/130/96, Rev. 1) and “Chemistry of active substances” (3AQ5a), and covers new and existing active substances in a single guidance document. The guideline is applicable to active substances that have been developed following a “traditional” or “enhanced” approach as described in ICH Q8-11 (Refs 1-4) or a combination of these. The new guideline takes effect in May 2017. New guidance was added to address emerging issues such as data integrity and to address new regulations pertaining to active pharmaceutical ingredients (API). Responsibilities were enhanced for importers of products from non-MRA countries, and a new requirement to conduct audits of foreign buildings and increased retesting requirements for imported products were added. GMP Questions and Answers were incorporated into the guidance, where appropriate, and a Q&A section was introduced in the appendices. The content of the guidance document “Validation Documentation Requirements and Responsibilities for Drug Fabricators, Packagers/Labelers, Testers, Distributors and Importers” (GUI-0042) was also incorporated. It has been proposed that the existing GMP Q&A document and GUI-0042 be removed from the Health Canada website upon the approval of the revised GUI-0001. The scope was expanded to include on-site inspections of domestic and foreign buildings (finished dosage form and API sites) and Health Canada’s assessment of GMP evidence to ensure that the information submitted by importers demonstrates the foreign building’s compliance with Division 2 of the FDR. New sample observations were added to reflect updated additional requirements introduced into two guidance documents being posted for consultation at the same time: Good Manufacturing Practices Guide for Drug Products (GUI-0001) and Annex 1 to the Good Manufacturing Practices Guide – Manufacture of Sterile Drug Products (GUI-0119). The new observations cover new regulatory requirements (e.g., for APIs) and emerging issues (e.g., data integrity). Questions and answers (Q&A) from Medical Gas – Good Manufacturing Practices (GMP) Questions and Answers were incorporated into the main guidance, where appropriate. Specific questions and answers are listed as an appendix. In the future, it is proposed that questions and answers be maintained as an appendix to this document. New regulations and a revised definition for “wholesaler” were included to reflect changes to the FDR resulting from the implementation of regulations pertaining to APIs. Chapter 4 on quality management was updated to reflect changes made to GUI-0001 (for international harmonization). Changes include references to the concepts of quality risk management and quality management throughout the product lifecycle, as well as a reference to ICH Q10. New or expanded rationale and interpretations were added to chapter 5 regarding senior management responsibilities, deviations and non-conformances, accuracy and reliability of data and records, and record expectations. Information related to foreign buildings that fabricate, package, label, or test non-sterile APIs was incorporated. The “new evidence required by date“ was incorporated to replace the expiry date on a drug establishment license and details on the implications. Clarification on filing requirements, processing, and Health Canada’s assessment was added. Evidence requirements for foreign buildings that fabricate, package, label, or test finished dosage forms or APIs were revised. Questions and answers were incorporated into the guidance, where appropriate, and a Q&A section was introduced in the appendices. GUI-0119: Annex 1 to the Good Manufacturing Practices Guide – Manufacture of Sterile Drugs is applicable to all fabricators, packagers/labelers, testers, importers, and distributors who work with sterile drugs. Health Canada is seeking feedback on a proposal to adopt the international GMP guidance published by the Pharmaceutical Inspection Cooperation Scheme (PIC/S) as described in the proposed Health Canada guide. The PIC/S documents proposed to be adopted by Health Canada in GUI-0119 are “Guide to Good Manufacturing Practice for Medicinal Products Annexes – Annex 1 -Manufacture of Sterile Medicinal Products” (PE 009-12, 01 October 2015) and “GMP Annex 1 Revision 2008, Interpretation of Most Important Changes For The Manufacture of Sterile Medicinal Products” (PI 032-2, 08 January 2010). The PIC/S documents are currently being revised under a joint initiative that includes Health Canada. A consultation with Canadian stakeholders on the content of the upcoming revision to the PIC/S GMP Annex 1 is anticipated in the first half of 2017. Under this proposal, Health Canada will remove guidance currently published under the sterile products section (C.02.029) of “Good Manufacturing Practices (GMP) Guidelines – 2009 Edition, Version 2 (GUI-0001)” and replace it with guidance published by the PIC/S as Health Canada GUI-0119. The adoption of these PIC/S documents for the manufacture of sterile drugs is intended to facilitate increased international harmonization. The interpretations in the PIC/S documents are to be adopted verbatim in this guide. Health Canada’s GMP Questions and Answers pertaining to sterile drugs will be incorporated in a Q&A section in the appendices of GUI-0119. It has been proposed that the existing document entitled “Good Manufacturing Practices Questions and Answers” be removed from the Health Canada website upon the approval of the revised GUI-0001 and GUI-0119. Health Canada plans to rename the current “Annex 1 to the Current Edition of the Good Manufacturing Practices Guidelines – Selected Category IV Monograph Drugs” (GUI-0066) to an alternate Annex number upon its next revision. Since the finalization of the ICH Good Clinical Practice (GCP) Guideline in 1996, the scale, complexity, and cost of clinical trials have increased. Evolutions in technology and risk management processes offer new opportunities to increase efficiency and focus on relevant activities. This guideline has been amended to encourage the implementation of improved and more efficient approaches to clinical trial design, conduct, oversight, recording, and reporting while continuing to ensure human subject protection and the reliability of trial results. Standards regarding electronic records and essential documents intended to increase clinical trial quality and efficiency have also been updated. In this “Integrated” Addendum, changes were integrated directly into several sections of the parental guideline. The core tripartite harmonized ICH Guideline was finalized under Step 4 in July 1997. This guideline recommends the use of less toxic solvents in the manufacture of drug substances and dosage forms, and it sets pharmaceutical limits for residual solvents (organic volatile impurities) in drug products. A maintenance process has been carried out to revise Permitted Daily Exposure (PDE) as new toxicological data for solvents become available. Limit values for three residual solvents in drug products were revised based on the newly recognized toxicity data: lower PDE for N-Methyl Pyrrolidone kept in Class 2 (health-based) and for Tetrahydrofuran and Cumene placed in Class 2 from Class 3 (not health-based). Both revisions (PDE for THF and PDE for NMP) reached Step 4 of the process in September 2002. A corrigendum to the calculation formula for NMP was subsequently approved on 28 October 2002. According to the new coding rule, the revisions were incorporated into the core guideline in November 2005. In February 2009, Table 2, Table 3, and Appendix 1 of the Core Guideline were updated to reflect the revision of the PDEs for N-Methyl Pyrrolidone and Tetrahydrofuran (Q3C(R4)). The most recent maintenance of the guideline, resulting in the current Q3C(R6) version, involved the revision of the PDE for Methyl Isobutyl Ketone (MIBK) and the addition of Triethylamine (TEA) as a new solvent. Based on new data, MIBK was moved from Class 3 (solvents with low toxic potential) to Class 2 (solvents to be limited). The new solvent Triethylamine was included in Class 3 (solvents with low toxic potential). This is the third edition of the ISPE Baseline® Guide for New and Renovated Oral Solid Dosage (OSD) facilities. It focuses on compliance with the current regulatory expectations. Technical content within this Baseline Guide covers pharmaceutical facilities for the manufacture of OSD forms, including tablets, capsules, and general powders. The guide may also be applied to pilot and clinical supply facilities and is intended to supplement Good Engineering Practices (GEP) with suggested approaches to Good Manufacturing Practices (GMP). The ISPE Baseline Guide: OSD Forms is intended to be used by various industry professionals for the planning, design, engineering, construction, commissioning, qualification, and operation of both new and renovated pharmaceutical OSD facilities. It is intended to be used to develop technically sound and compliant solutions while offering flexibility to meet specific facility and project needs. The ISPE Baseline Guide: OSD Forms is intended to offer a tool for consistent framework for regulatory interpretation, while still allowing a flexible, innovative, and compliant approach to facility design, construction, commissioning, and qualification. This approach is intended to allow manufacturers to better serve their customers by helping reduce costs and improve product quality. Additionally, this Baseline Guide will provide an overview of potential new technologies that are being applied selectively in the industry. 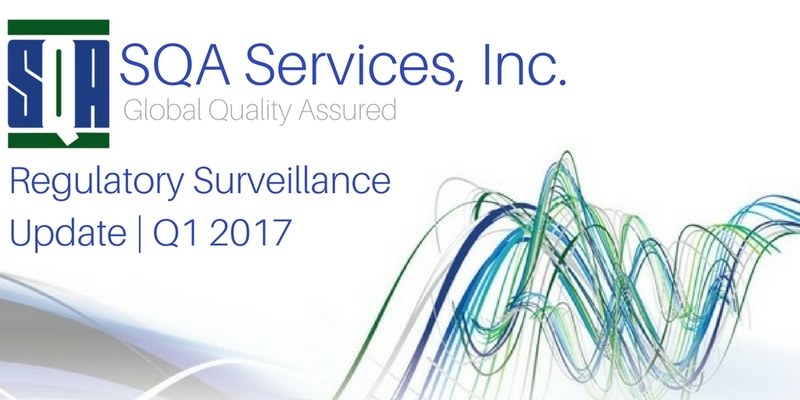 PDA’s newly released Technical Report No. 77 (TR 77), The Manufacture of Sterile Pharmaceutical Products Using Blow-Fill-Seal Technology provides recommendations specific to the operation of blow-fill-seal (BFS) technology for the manufacture of sterile pharmaceuticals (e.g., ophthalmic, parenteral, and inhalation). The intent of this document is to provide supplemental information to assist the user with the interpretation of international standards and regulatory guidance from the perspective of BFS operations. Consideration is given to specific aspects of BFS operations not covered in published information. This technical report addresses considerations for BFS technology related to the installation and operation of machinery and the evaluation of related materials and final product containers. Support areas (e.g., laboratory, solution compounding, and gowning airlocks) are not considered specific to blow-fill-seal and are not included within the scope of this document. This technical report is intended as a guide for the industry and is not meant to replace or duplicate any existing regulatory guidance. The revised chapters of the PIC/S GMP Guide are based on the equivalent chapters of the EU GMP Guide, with some minor differences in language. Chapters 1, 2, and 7 have been aligned to ICH Q10, and “Pharmaceutical Quality System” principles have been integrated. A section on consultants has been added in Chapter 2. The scope of Chapter 7 has been expanded beyond “contract manufacture and analysis.” Chapters 1 and 7 have been renamed to reflect the changes. In Chapter 6, all sections have been reviewed and amended, and a new section on “Technical Transfer of Testing Methods” has been added. The revision was successfully completed by the PIC/S Sub-Committee on the Harmonisation of GM(D)P, led by Paul Gustafson (Canada/RORB). The revised GMP Guide (PE 009-13) will be effective on 01 January 2017. All non-EEA Participating Authorities of PIC/S (and Applicants) have been invited to transpose the revised chapters of the PIC/S GMP Guide into their own GMP Guides. To download the revised GMP Guide (PE 009-13), please consult the page “Publications” or click here. This guidance is intended to help small businesses better understand and comply with recently issued regulations on current good manufacturing practices (CGMP) and labeling for medical gasses. On 18 November 2016 (81 FR 81685), the FDA published a final rule called â€³Medical Gas Containers and Closures: Current Good Manufacturing Practice Requirements” (Container- Closure Rule or final rule). The final rule amends certain CGMP regulations regarding medical gases to increase the likelihood that the contents of medical gas containers will be accurately identified on labeling and by container coloring and to reduce the likelihood of the wrong gas being connected to a supply system by requiring gas-specific outlet connections. The final rule also revises an existing labeling regulation (21 CFR 201.161) that exempts listed medical gases from certain otherwise-applicable labeling requirements under specified conditions (e.g., meeting the applicable medical gas labeling and container closure requirements, including certain warning statement(s)). This guidance describes and explains the final rule on CGMP requirements for combination products (final rule as codified in 21 CFR part 4) that the FDA issued on 22 January 2013. Although CGMP regulations were in place to establish requirements for drugs, devices, biological products, and Human Cells, Tissues, and Cellular and Tissue-Based Products (HCT/Ps), there were no regulations to clarify and explain the application of these CGMP requirements to combination products prior to the issuance of the final rule. The final rule was intended to provide clarification and specify how compliance with applicable CGMP requirements may be demonstrated. Regeneca Worldwide, a division of VivaCeuticals, Inc. is conducting a nationwide recall of its entire line of herbal and dietary supplement products pursuant to a Consent Decree entered by the federal court for the Central District of California. This recall applies to all products manufactured and sold between 01 June 2011 and 08 February 2017. These products include but are not limited to RegeneSlim, RegenErect, RegeneArouse, RegeneBlend, RegeneBoost, RegeneBlast, and RegeneFit. All lot numbers are included in this recall. Regeneca products were sold nationwide online using the companyâ€™s websites and through a direct sales force within the United States and Puerto Rico for both consumption and retail sales. A&H Focal Inc. is voluntarily recalling all lots of the following products because many of these products have been historically tested by the FDA and found to contain PDE-5 Inhibitors (e.g., sildenafil, tadalafil, and vardenafil), the active ingredient in an FDA-approved drug for erectile dysfunction (ED), making these tainted dietary supplements unapproved drugs. These undeclared active ingredients pose a threat to consumers because the PDE-5 Inhibitors may interact with nitrates found in some prescription drugs (e.g., nitroglycerin) and may lower blood pressure to dangerous levels. Consumers with diabetes, high blood pressure, high cholesterol, or heart disease often take nitrates. In Lenoir, NC, Exela Pharma Sciences, LLC (“Exela”), in association with marketer X-Gen Pharmaceuticals, Inc. (“X-Gen”), is voluntarily recalling lot number PLND1613 of Ibuprofen Lysine Injection, 20 mg /2 mL (10 mg/mL), vials at the hospital or user level. Some of the vials have been found to contain particulate matter. Risk Statement: Particulate matter has the potential to block blood vessels, provoke an immune reaction, and/or lead to microinfarcts, which could be life threatening. Neither Exela nor X-Gen has received any reports of adverse events related to this recall. Hospira, Inc., a Pfizer company, is voluntarily recalling one lot of Vancomycin Hydrochloride for Injection, USP (NDC: 0409-6510-01, Lot 591053A, Expiry Date: 01 November 2017), at the hospital/retail level due to a confirmed customer report of the presence of particulate matter within a single vial. In the unlikely event that the particulate is administered to a patient, it may result in local swelling, irritation of blood vessels or tissue, blockage of blood vessels and/or low-level allergic response to the particulate. The risk is reduced by the possibility of detection, as the label contains a clear statement directing the physician to visually inspect the product for particulate matter and discoloration prior to administration. Copyright © 2015 SQA Services, Inc.
Update your browser to view this website correctly.Update my browser nowTo access STEPQ, click here.